To design, what kind of behavior is it? A lot of “designing” acts are carried out every day really around the loftwork which performs tangible and intangible design such as web UI, product, space and service. 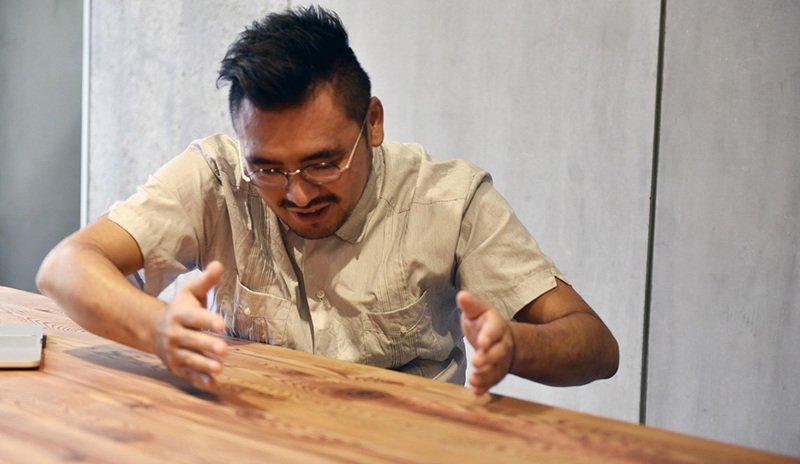 This time, from the dialogue of Mr. Yuta Oda (COMPOUND) who served as art director of 100 BANCH (*) opened in the summer of 2017 and Sho Meri Terai, senior director of loftwork, thinking about what to “design” I explored what I was going to do. There is a pattern that has already been noticed “There must be somehow” issue, and there is no assignment setting and a pattern that assembles a new project with 0 → 1. 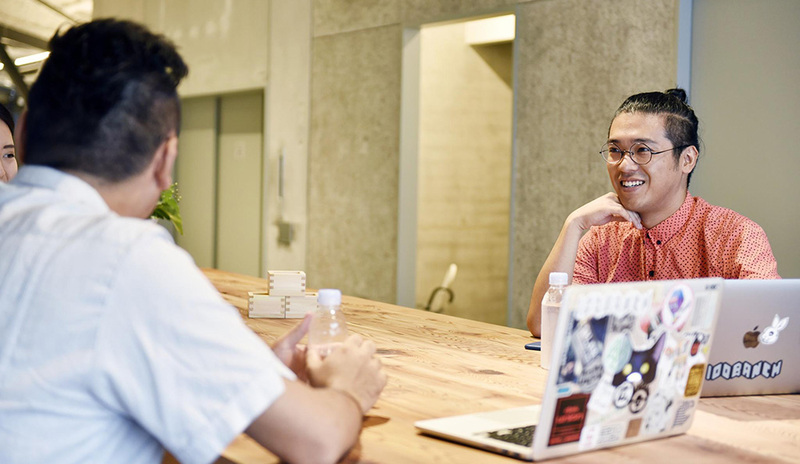 Yuta Oda, who works on a variety of design works, says that any design project can roughly be divided into these two directions. From the two interactions that want to take care of the “activities” involved in the project in both, the era of client work and the core of design work in the future have come to be seen. I’ve always thought that it would be better for the people on the scene to do the finishing work of the design project. “The design that you need is here.If you like this in such a case, use that in that case …” I do not want to show how to actually use people with no margins. Once we have the chance, rules and materials, we arrange those combinations to the user. Is not it a plastic model, an image that hands Lego? Yes Yes. Even if it is a plastic model, I will not hand the finished product. In the state that the runner (* 1) is attached, feeling to pass with super nipper and commentary (laugh). I used to rebranch (* 2) from Disk Union before, but when requested by the president, I proposed a rebranding project that does not require renewal of the logo. The logo is a crown that represents the thought of the organization. Changing it seems to have an impact at first sight , but it does not make sense if the body does not change even if the head is replaced . As a result, it changed to the shape ratio of the logo and it is output that puts the tag line, but it took nearly a year. Meanwhile, I made a project team inside the company and were promoting measures to “cultivate organizational culture” so as not to become senior executives. I think that it is the employees who remember the most realization in the new tag line “DIVE INTO MUSIC”. Do not make it restrictive like excluding someone by seniority, I take care at designing. Development of Technology Naturally, it is becoming easier for organizations to see projects and teams, and the activities of organizations have been visible outside the company a lot more than the past even a few years ago. The number of people outside the company entering the project has increased considerably. In other words, even though Mr. Oda’s “crown” has not changed, its brand recognition also changes as activity changes . Even in the case of logo design, it seems like it is impossible to get involved with the scope of activities. For example, when it comes to making a logo of a soy sauce shop, many years of founding, ◯◯ family tradition, and often see the past. Of course the thoughts and philosophies of the generations are important, but even if we focus on the past and now, the time axis with the logo viewer will not match. I think that design work is a kind of predictive work that thinks about what I’d like to do when looking at 5 years 10 years 100 years . I often direct a project logo of zero-based type like a new business or a new product, but I will think a lot about how the design will be loved and functioning in what kind of activity scene in the future. From a big perspective, I think that the scheme cultivated during the bubble period is not functioning. One factor was the fact that the Internet came out and the way of communication changed. If you want to meet, send e-mail, spread by SNS if you want to expand the information, sample images of the design can be researched and collected more and more. Focusing on properly cultivating the culture of the organization, there will be aspects of alternative survival, which must be forced as soon as the speed gets faster and the competition becomes fierce. After graduating from Ritsumeikan University, joined Loftwork 2008. He became the youngest senior director in 2012 and has a wide range of creative achievements such as introducing large CMS and web direction while working on various creatives including logo, product, content, direction of exhibition, design competition management, etc. .
“Plowing the culture of the organization.” It is sometimes like promoting dialogue by coaching, like coaching, there may be a mechanism to change the communication between members by placing play in the orderly organization. The story will further deepen about the creation of an environment that will not create “seniority” that has been repeated many times with this interview. According to the rules, if you give a color tape by saying that you should put your own line for each team, there is a team that ignores the 120 ° rule only one. They are doing a project (* 4) to propose loincloth as a new expression tool, but I crossed the red tape at 90 ° and it is a magnificent loincloth there. I thought that this is an expression that will not come out if you design everything . At first I thought, “I quickly beat it … ….” (laugh), I was glad to hack. I am interested in creating a reflux culture. If we solve the problem as a downturn, it is regurgitant to give something at 0 → 1 and entrust the finishing work to someone. Basically, I think that culture can only be created by reflux . Many music and fashion were born against “usual flow”. When rules are modified by someone’s hacking, we begin to see how noise grows up there for the first time. I would like to design the ecosystem that creates backflow and see the noise. I do not want to make irregular level, I want to make a different bumpy. 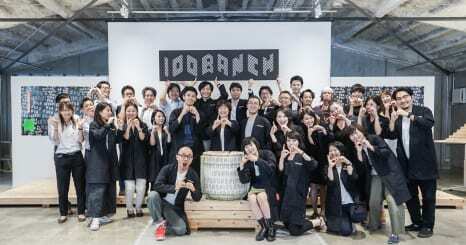 In the design project of 100 BANCH, the design of the activity named “100 BANCH (Jyukunbunchi)”, signature planning and 100 BANCH was mainly performed, but the first action of the design work is ” to explore the context / Or was it. 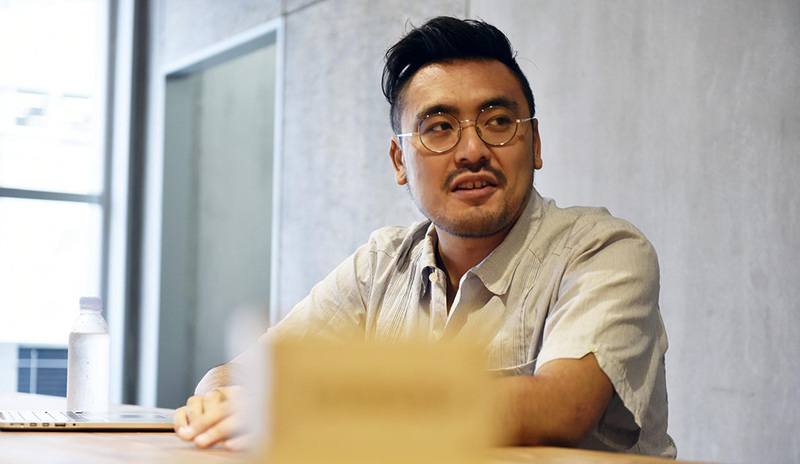 Mr. Oda who is also a creative director of “Townscape creative” (* 5) who performs area management, and Ms. Oda tells about the design which Terai is now about to work on, also called “Director of editorial attributes” this time. The streets of Shibuya do not need “idols”. It is said that there are Hachiko and 109, scramble intersections, are they represent “Shibuya”? When it is said, it is slightly fragmented and different. Furthermore, when dividing this town with 246 and Meiji Dori, features of the area can be classified in a matrix like manner. 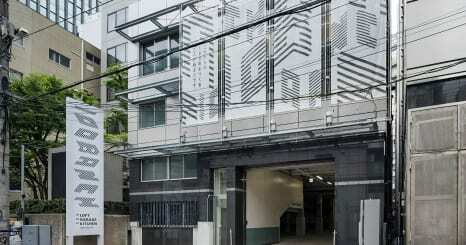 The center street and Udagawa Town are culture and youth culture, Omotesando area is commercial and fashion, Dogenzaka is food and business. How about the area in the southern area where 100 BANCH is located, this place is not like this yet. I proceeded with research from how to express an area where there is no color yet in the city that does not need idols. At first I decided my name. But, although this project has a maternal body, it is not a new project, and the statement has not been properly decided, it was really 0 → 1. There are a lot of stakeholders from several companies. What kind of context will be born if what words are given to such unseen things ? Since I knew that people will come and go in the future and something will be born, so that we will not restrict something by name, we will decide to gather a huge reference to expand the range of possibilities You did not choose the words of the brink at all. ─ ─ It seems that there were quite a few things like being unsettled feelings bad. Talking about … … That’s right. 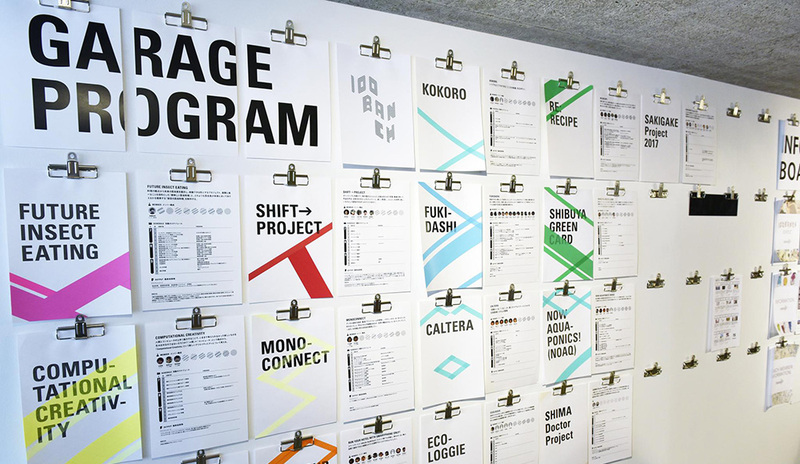 But I think it is the same as the design research process (* 6). A process of verbalizing the insight of what you can see from there after gathering lots of information on nama from various surveys such as expert interviews and field research. Rather than answering the blank answers, the words coming out through a filter called myself are accompanied by a sense of reality and temperature. In the creative team of Loftwork, the method of design research is getting penetrated in the past 1-2 years, but we are interpreting this while searching for something that is not yet named, giving a new word I think that you are doing things. It was amazing to mention the amount of references, but what I felt in various ways at the brinks was Mr. Terai ‘s editorial “direction” direction. Miso who is not an editor (laugh), editor is the person’s color better or worse but Mr. Terai is not there, always seeing the whole structure and keep fitting together “Logic and intuition Balance of “there is no shake. There is a feeling that I can get into the essence of the activity ahead of that subject. 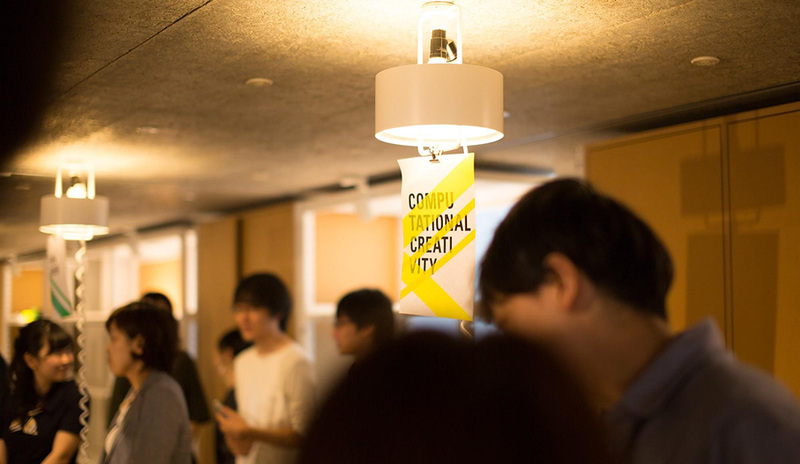 I usually do web design of various companies and universities, but at universities, for example, “Is the class name” ◯◯ 論 A “good?” “Can open campuses be more realistic?” There is something to think about. Although I am not talking about “It will be meaningless if the body does not change even if I change the head”, I would like to work on creating a mechanism to drive activities. ─ ─ We often see Oda talking about design on the expression “design” at the COMPOUND site and articles (* 7) in close terms of editing. The origin is due to the fact that I heard a certain line (* 8) in SF movie “Blade Runner”, but I think that design and design are the same. Self-theory is that designers should have their own context, sometimes being told that when talking about it is like architecture. But I think people who are involved in “design” are doing the same thing in general. Crossing the context and thought of times and land? By doing so, the boundaries of design and architecture are becoming more ambiguous. I want to make ambiguous these boundaries more and more. To do that, we need to look towards money, and how to communicate with the community is important, so it is important to summarize them and bring them to the project. In the UK, the city of urban development, architecture, art, design, cultural policy called Comedy Carpet (* 9) … There are projects that do not fit in one category. I’d like to do something like this one day. The meaning of “design” has too many meaning, and its one color is unique. Even if there is no correct answer, I want to see a new view of the future that will spread beyond the design, following the eyes of the professionals of the design. The thing that I came up with in such a thought is that you can convect culture and culture in design, create reflux, and create new culture. For example, when I first saw the design of 100 BANCH, when I stepped into space for the first time, I certainly felt “newness”. It’s not just a sense of imagination or future-likeness but a new thing that “something is about to start”. It is said that these emotions were born out of such a delicate, challenging “design”. Everyone, please 100 BANCH , please experience the depth of ‘design’ that the two worked on.